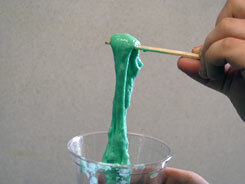 Mix 3 parts Elmer's Glue with 1 part water in a 3oz. paper cup. 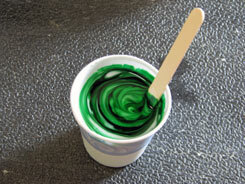 Add food color and mix well. This will be your cup "A". In a separate 3oz. 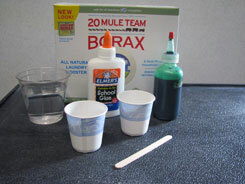 paper cup, add 1 tsp Mule Team Borax Powder and fill cup up with water. Mix well. This will be your cup "B". 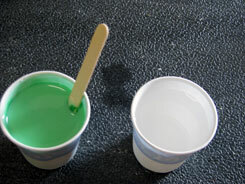 Pour half the contents of cup "B" into cup "A". Mix with craft stick. Discard cup "B". 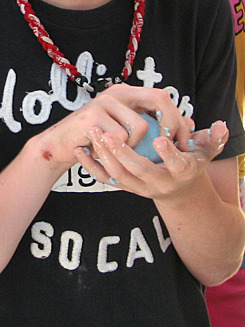 Reach down and pick up your Space Mud and start to roll it into a ball. 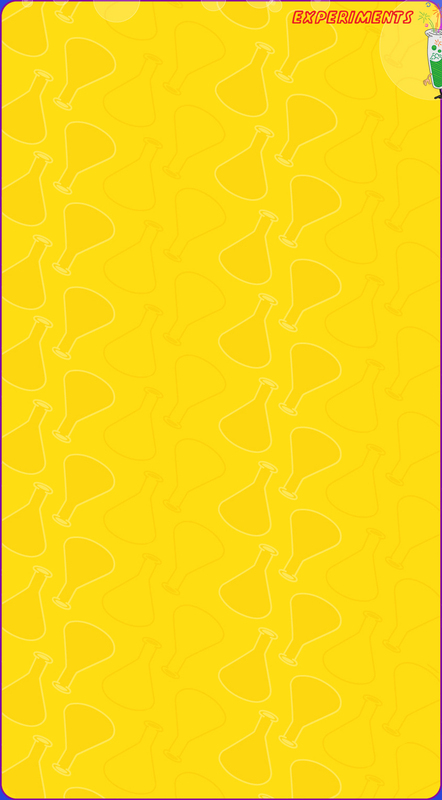 When you mix one chemical with a second, different chemical, you create a chemical reaction producing a third chemical which does not look like either of the original chemicals that were combined to create it. 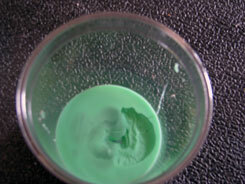 In this instance, the glue (chemical 1) when mixed with the borax solution (chemical 2), creates a chemical reaction which results in Space Mud (chemical 3).